ZZ2 is a South African farming enterprise operating mainly in the Limpopo Province, as well as in the Western Cape, Eastern Cape, Gauteng, North-West province and Namibia..
We produce tomatoes, avocadoes, mangoes, onions, cherries, Medjool dates, almonds, apples, pears, stone fruit, stud cattle and weaners. The ZZ2 brand is a well-known icon in South Africa with a proud history of over than a century. 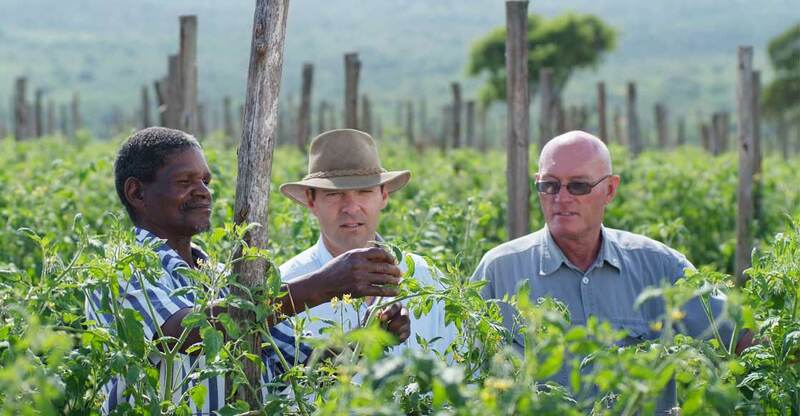 ZZ2 is a world leader in large scale, nature friendly agricultural practices, also known and registered as Natuurboerdery®..
ZZ2 aims to be the benchmark of success in agriculture and to create sustainable value for all its stakeholders as a living, open system. Our system offer high quality, primary agricultural produce to customers who seek value. Our practices optimise resources and rely on principles that are ethical, environmentally friendly and economically sustainable. Prudence, which we understand to be consideration, wisdom and far-sightedness in dealing with our environment and stakeholders. Justice, which we understand to be honesty, impartiality, fairness, justness and integrity in our decision-making processes. Fortitude, which we understand to be perseverance, fearlessness, determination, persistence and endurance in carrying out our duties. Moderation, including modesty, restraint, selflessness and tolerance as part of our daily drive. We provide our people with the opportunity to work and promote development of skills, mutual loyalty and respect. We expect performance and promote the development of human potential. We measure and reward performance in respect of competency, ability and mastery of techniques and technologies. We encourage communication and consensus. We commit ourselves to fair labour practices, terms of employment, equal employment, elimination of discrimination, and safe and healthy workplaces. We measure ourselves against international standards and conventions in respect of practices, systems and products. We conduct our business on a scientifically sustainable basis. We continually look out for new and better methods and systems. We strive to do the right things and to do things right. We want to utilise our working environment responsibly by conserving and using resources sustainably. We want to manage nature sustainably. We want to protect the diversity of our natural and cultural heritage and encourage symbiosis. We are sensitive to the needs of our clients. We deliver products of outstanding quality which promote health and offer the best value. Our trademark guarantees products which are produced through scientific processes and technologies based on the principles of integrity, authenticity, and social and environmental responsibility. We maintain high standards of strategic planning and management. We create fair and beneficial relationships with our clients. We want to operate and manage in a way which prevents and eliminates corruption and fraud. We want to create a safe environment. Develop the ZZ2 System through innovation and entrepreneurship. Create exceptional value for our customers. Increase productivity and efficiency through innovation and change, with the aim of being excellent in all that we do. Live up to our value system of a sustainable and living open system.